Summary: Rosedale is a picturesque dale in the heart of the North York Moors and this walk takes us to some of interesting parts of the dale including a walk along the path of the disused ironstone railway that contributed to the founding of industrial Teesside. 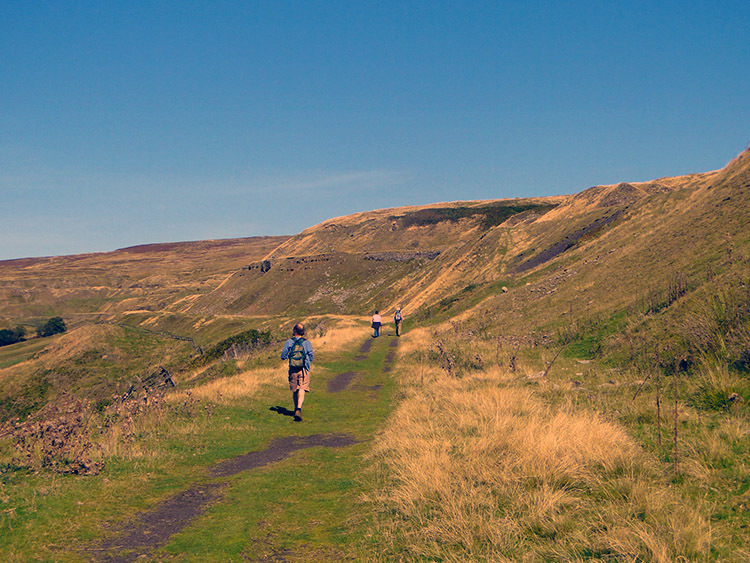 Views are spectacular along the route of the old track which skirts all the way around Rosedale Head. 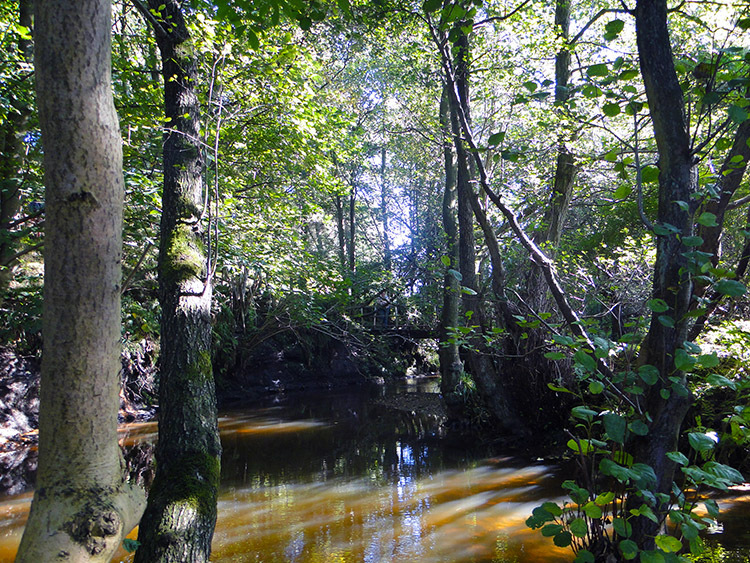 September 2009 was brilliant, a grand finale of beautiful sunshine and calm skies after an indifferent high summer. 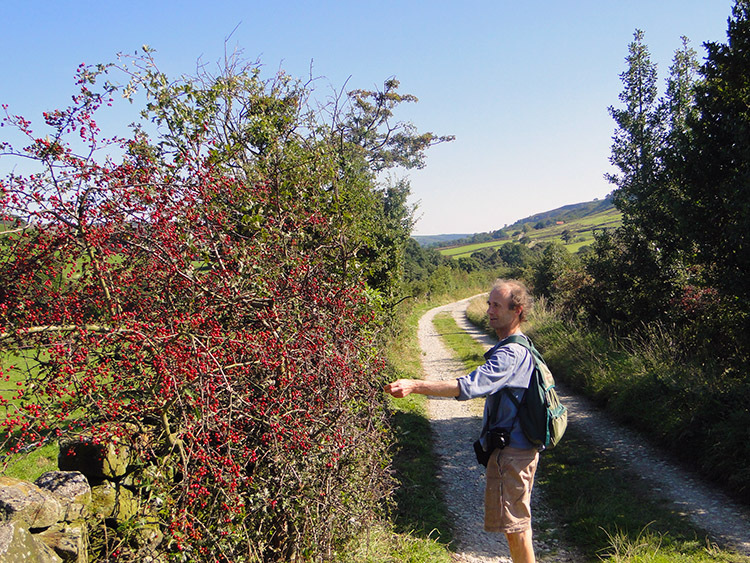 It was time to get out into the countryside and enjoy walking in the bright colours of a lovely Indian Summer and that is exactly what Lil, Leena, Dave and I did by heading out into the heart of the North York Moors in wonderful Rosedale. 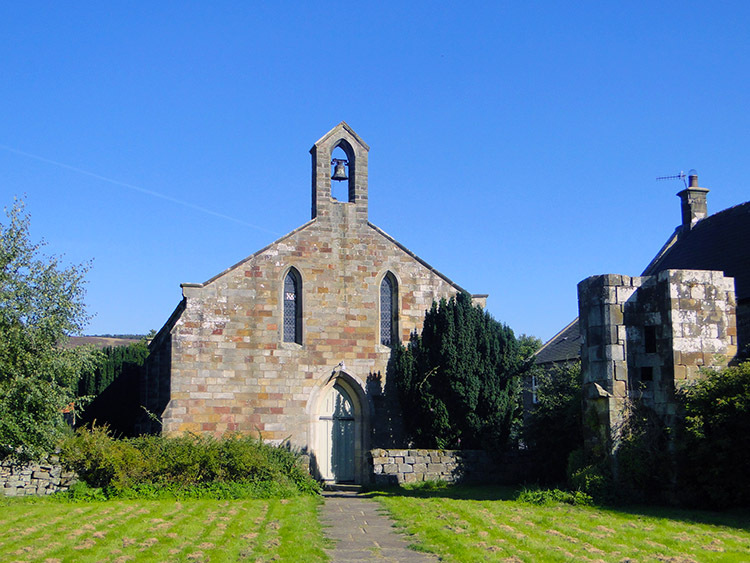 The weather was set fair, the drive over from Harrogate enjoyed in unbroken sunshine and thus we arrived in Rosedale Abbey in high spirits, anticipating an extra special walk. Before we set off though there was a good Samaritan deed to do. 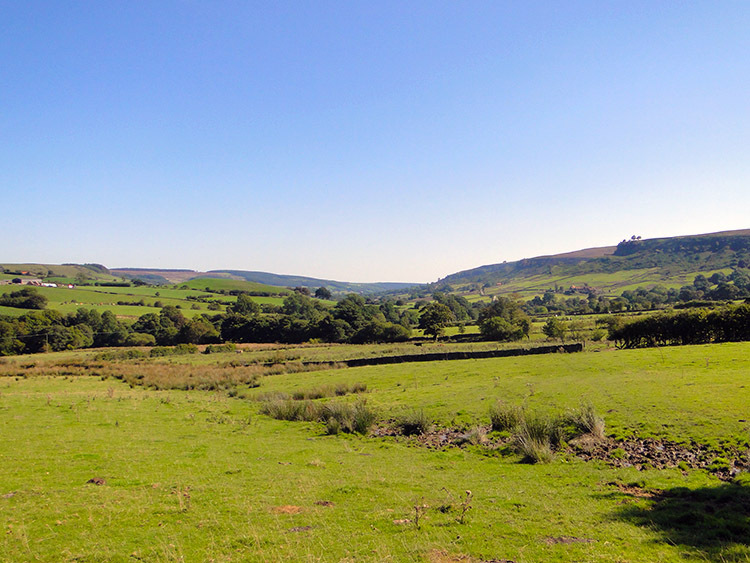 The planned walk, just short of 8 miles, was a little too far for Lil's liking so we drove out of Rosedale Abbey to Swine Stye Hill and dropped her off to sit for a hour or so while we drove back to the starting point in Rosedale Abbey, parked up the car and then walked to meet her. 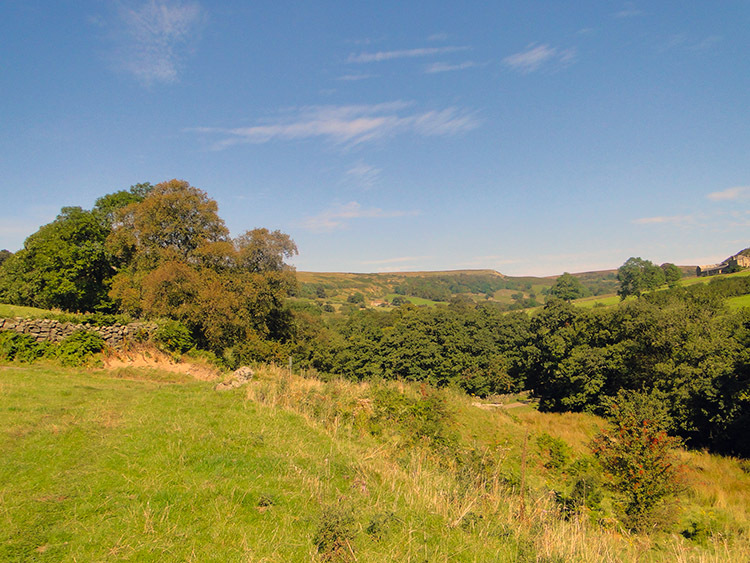 We did exactly that and began our walk by leaving Rosedale Abbey in the finest weather to track along Northdale Beck upstream and all the time steadily climbing, so much so that when we had completed the first mile and a half most of the hard work of the walk was done. Part way through that first section we left the side of the beck and tracked up quite steeply past some old buildings to the dead end Northdale road and into dense conifer at Knottside Plantation that was welcomed by us all as it provided shade after the hot sun beating down climbing that put us all in a good sweat, me most of all. The plantation also provided a little challenge as paths seemed to go in all directions and we made a minor detour from the intended route by following a gamekeepers path. We found plenty of grouse feeders but not our intended destination so we tracked back to regain our true path and shortly afterwards emerged from the plantation at Clough House. 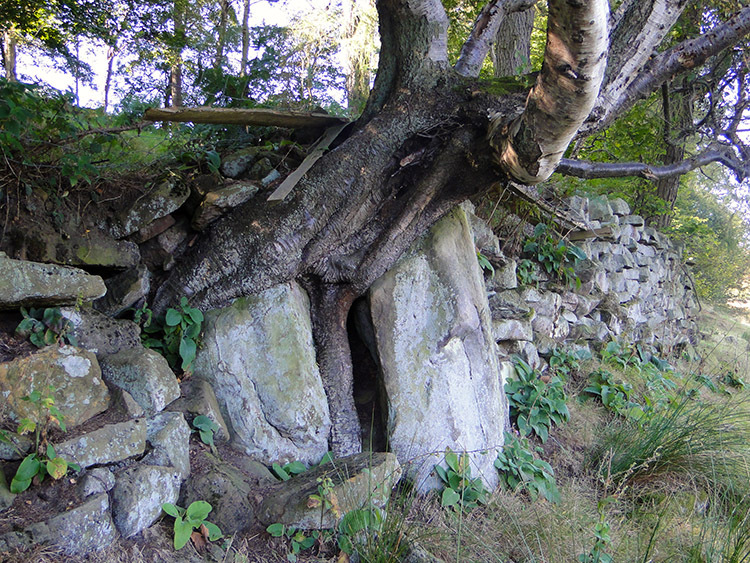 From there we followed the farm bridleway to Swine Stye Hill and reclaimed Lil. On doing so we took a break and anticipated the walk ahead on an old railway track. 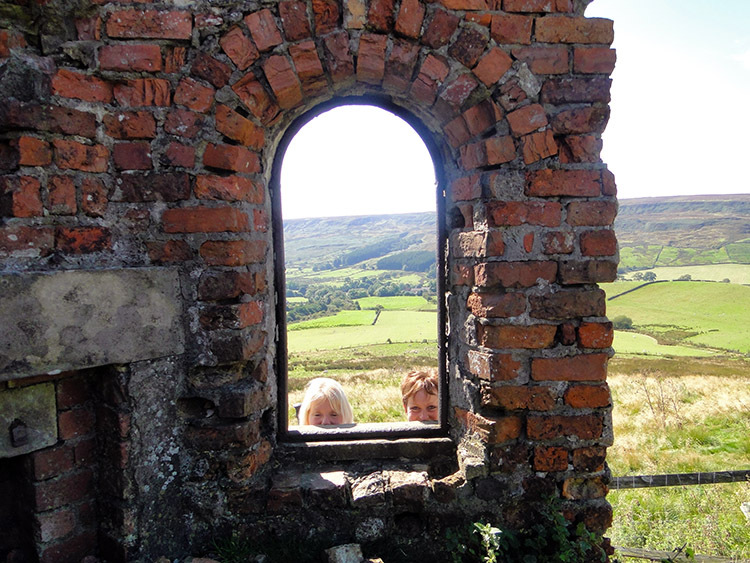 With Lil now back with the team we walked onto the track of the disused Rosedale Ironstone Railway which was used to transport mined iron ore to Middlesbrough which effectively kick started the industrial growth of Teesside. The result of the industrial revolution to Teesside is a congested mass of industry and habitation with smoke billowing from high chimneys almost every day. 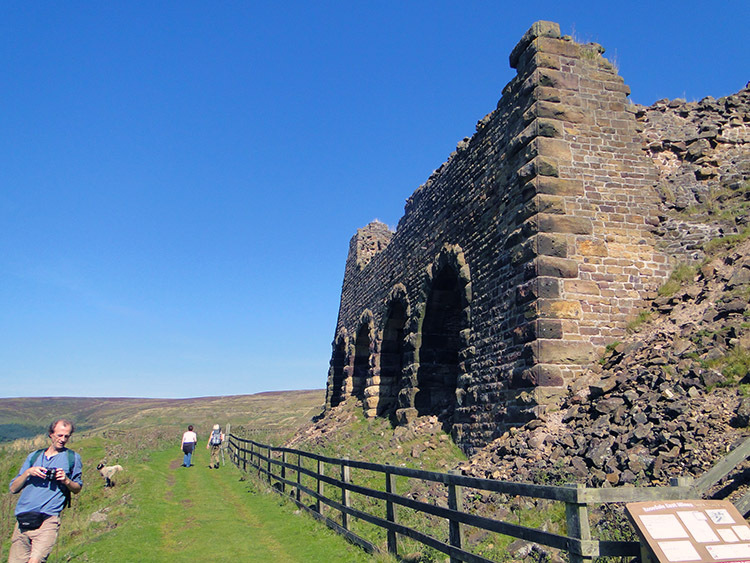 The result to Rosedale is quite different for the mining activities are now long gone with just the majestic skeletal remains of local stone and brick built ironworks scattered along the length of the old track which now serves as a wondrous elevated platform for walkers to enjoy the beauty of Rosedale. 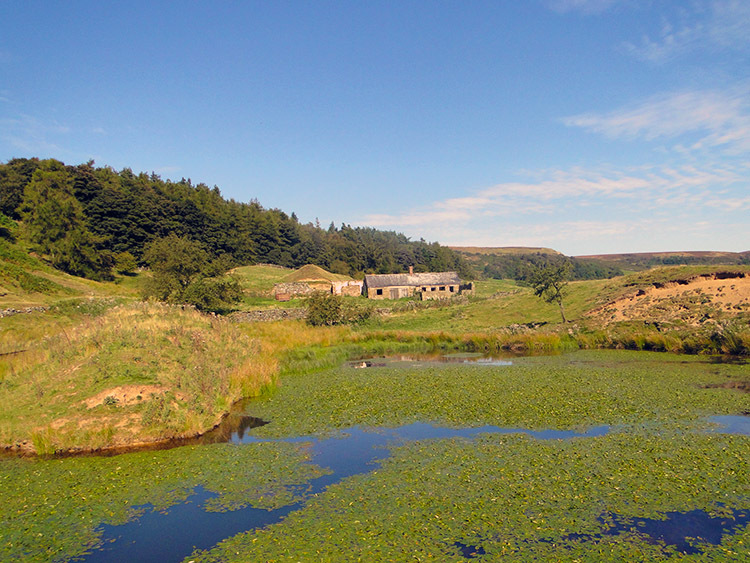 Rosedale is possibly the most beautiful setting in all of the North York Moors, sufficiently distanced from any town of significant size which gives a more remote and calm feeling to the place. 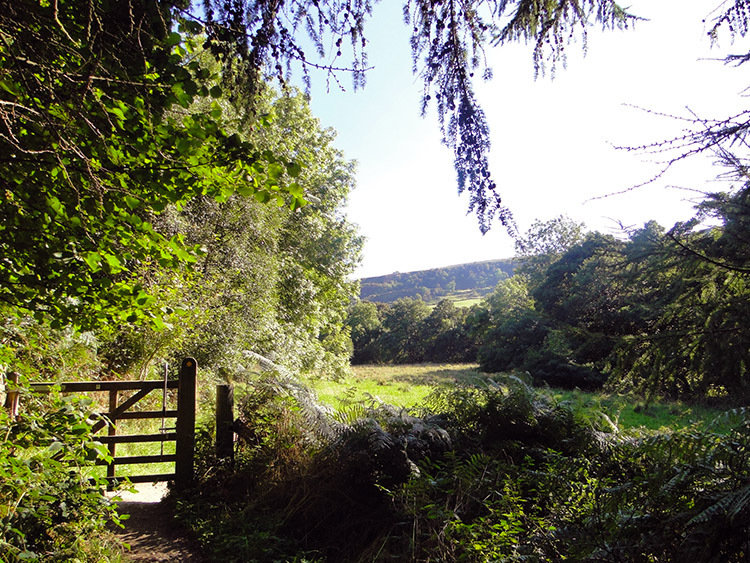 The walk along the route of the old railway was a joy with the last blooms of late summer heather complimenting the variety of early autumnal trees to give a tableau of rich colour for our eyes to feast on. I enjoyed every step along the old track and we even enjoyed a striding edge type moment crossing a narrow stretch with steep falls either side near Sturdy Bank before leaving the old track side and descending into the head of Rosedale for a pre-arranged meeting with Maggie Barraclough at Dale End Farm. 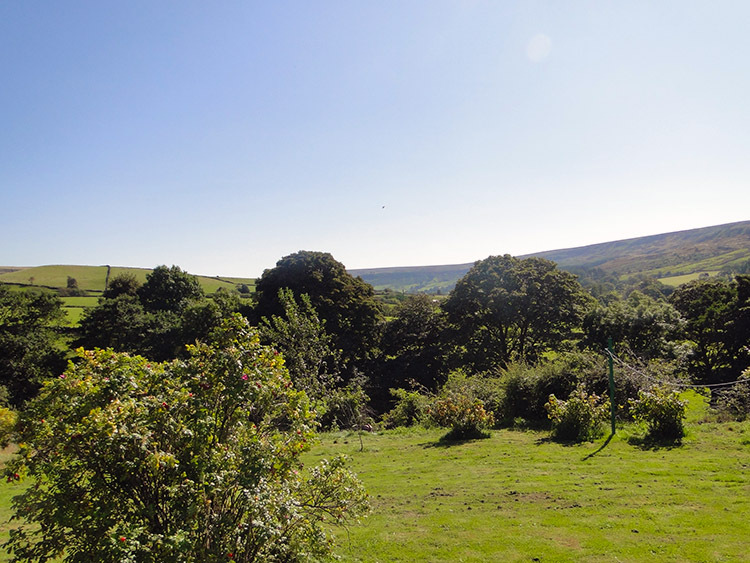 A few weeks before the walk I had been contacted by Maggie who suggested that I do a walk in Rosedale and while doing so call in for refreshments at her new tea garden enterprise at Dale Head Farm. How could I refuse and after the walking along the old train line in hot sunshine we were all ready for a drink and a bite to eat. The descent to the farm was lovely through Hawthorn tree avenues and on reaching Maggie's 'Tea Garden' cafe we settled down on a bench in the garden with the most sumptuous of views; the whole of Rosedale spread out to the south with a natural moorland shelter horseshoeing the farm from east through north to west. 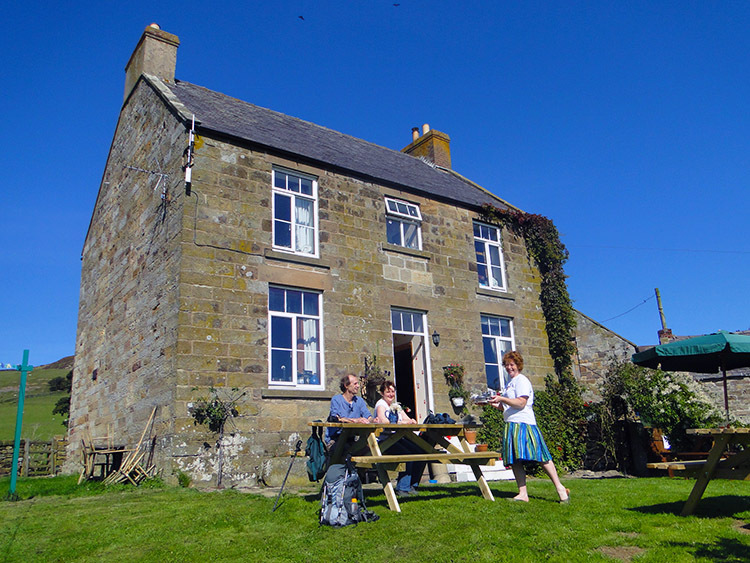 Maggie greeted us with the most welcome smile and quickly settled us down before bringing out tea, coffee and the most tasty array of cakes for us to try. They were fantastic, utterly scrummy. Who needs the Hairy Bakers when we've got Maggie. 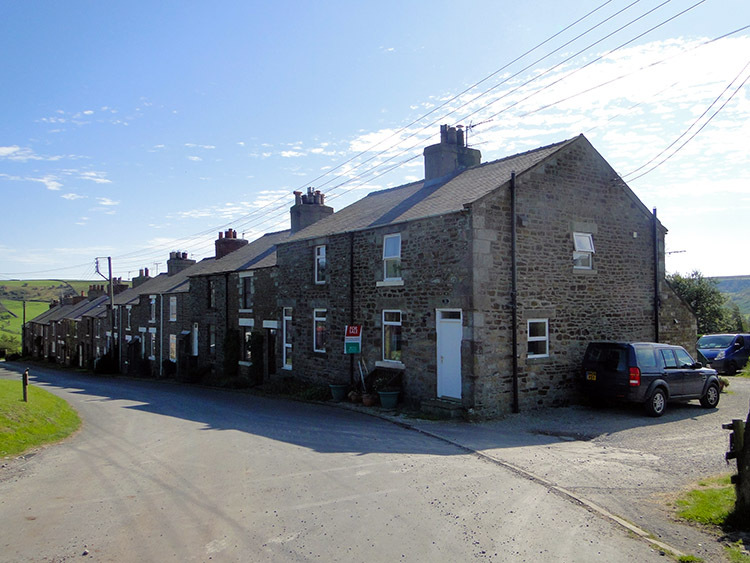 I recommend that anyone who reads this report and chooses to walk in Rosedale really should make a point of stopping off for refreshments at Farmhouse Fodder. I have no doubt Maggie's fayre will assume legendary status. As we left I thought as to how does Maggie find the time to manage the new enterprise. She had told us she runs in marathons including the London and New York ones, regularly training by running around Rosedale with her daughter. Also, she added she had done the Coast to Coast on a horse! You're a star Maggie and after the yummy food I assure you we'll be back one day for more. Thank you. We could have stayed all day. Soon we were heading up the road past Red House Farm before turning right down the access road to Moorlands Farm which gave us access to the Daleside Road track. 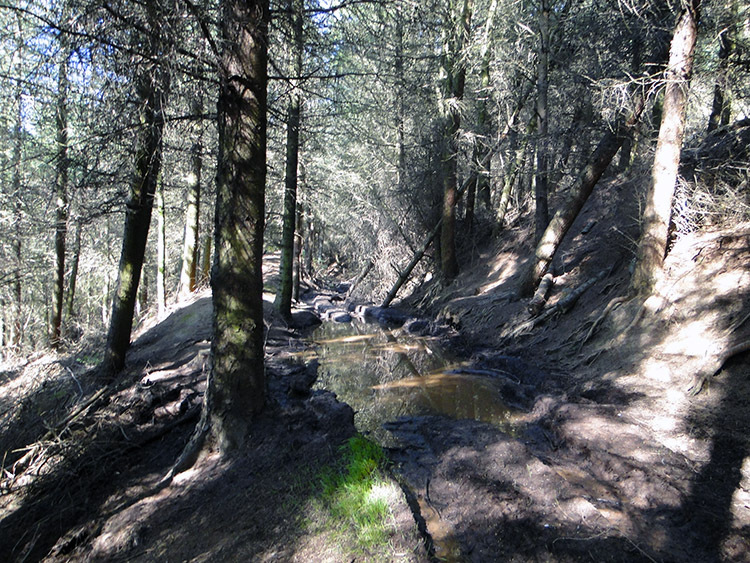 We followed the track for a few miles, it being the access road for properties on the west side of the Rosedale valley. 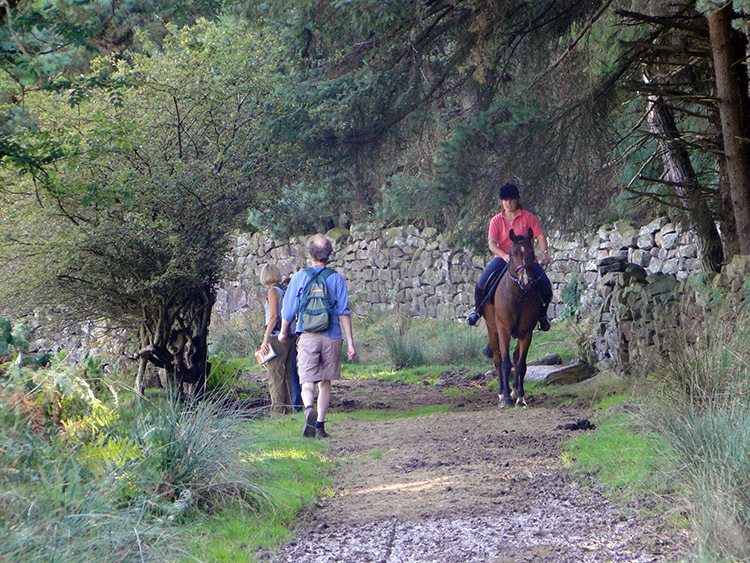 During our walk along the track we met other walkers enjoying Rosedale and some riders too. All were smiling, as happy as we were. 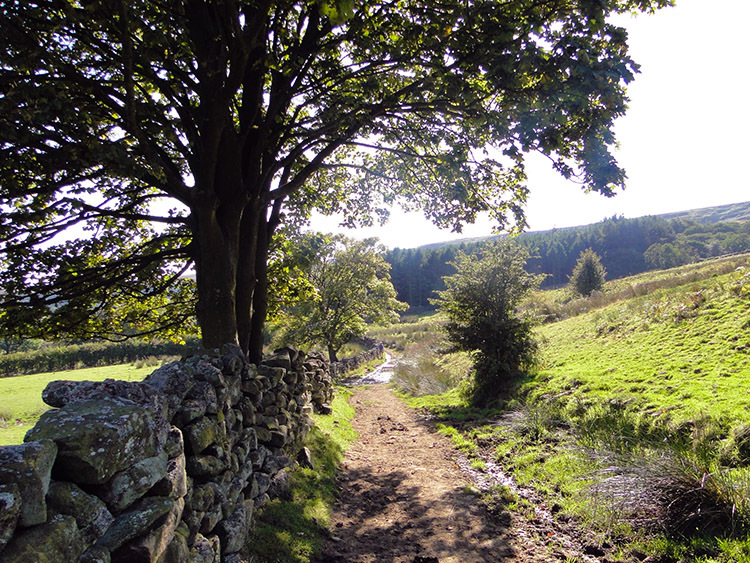 The walk along Daleside Road, a wide gated bridleway was straightforward although there were a few muddy sections that were negotiated by various methods. Dave and I usually stone hopped or jumped, sometimes just wading through the shallow pools while Lil and Leena were more circumspect and certainly more cautious, often using the walls either side of the bridleway to help them balance while carefully stepping though the boggy sections. 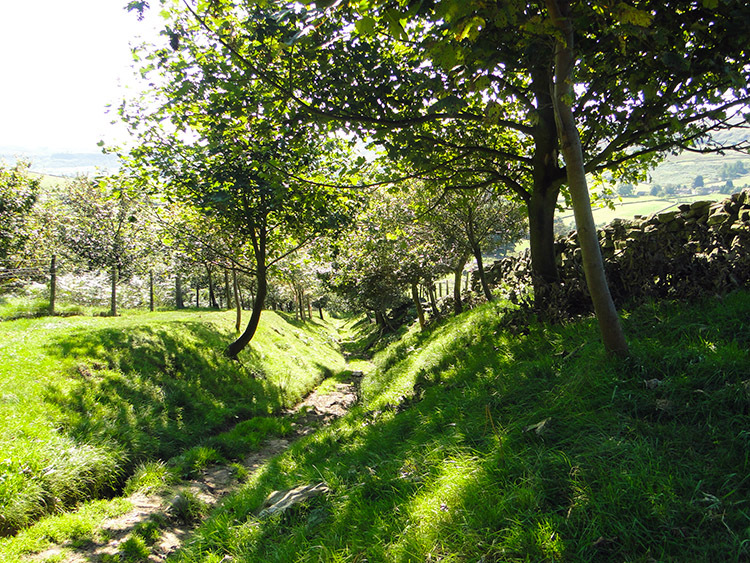 After our 'wet period' we reached High House Farm, a site of recent renovation and afterwards the track was much drier with hardstone underfoot and boots dried as we continued along the road to Thorgill. After Thorgill we turned left, off the track and over a stile into a field which took us to Low Thorgill Farm from which we followed a beck downstream and back towards Rosedale. We were in ebullient spirits after a lovely walk and even Lil was full of beans, the walk had been one of those extra special days out with plenty of memories to keep. However, there was to be one incident that slightly marred our lovely day. 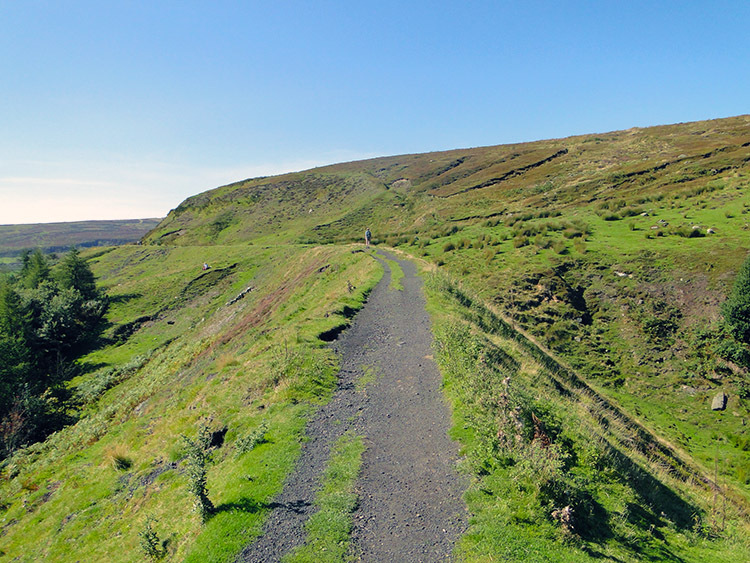 On the final approach to Rosedale, near Waterhouse Well I caught sight of a deer running. A wonderful moment followed by a hellish one as two dogs emerged chasing the deer. Spooked, the pursued animal tried to leap a fence but couldn't and clattered heavily into it. Fortunately it quickly recovered and regained its feet just in time before the chasing dogs reached it. It ran off across the field right past me and my colleagues with the dogs continuing their chase until I gave the loudest extended "stop!!" which got their attention. They gave up the chase and whimpered past me to a couple who had just emerged into the field. I was livid and told the couple what their dogs had done but they shrugged it off as if it was not an issue. They were stupid moronic people who can't control their animals, that could have been a calf, a young sheep, anything. They did not care. Calm down Mike, back to the walk. 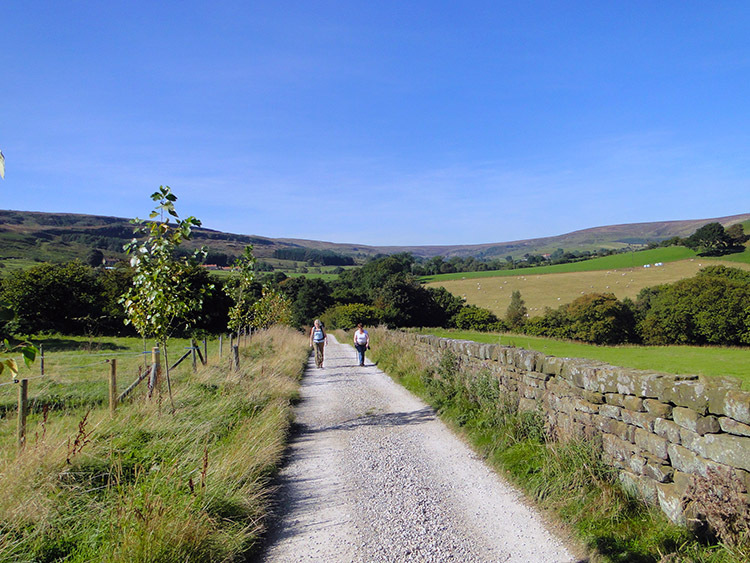 We walked into Rosedale and concluded we had all enjoyed a wonderful walk in wonderful Rosedale. And above all we had met a special lady. Thanks Maggie.